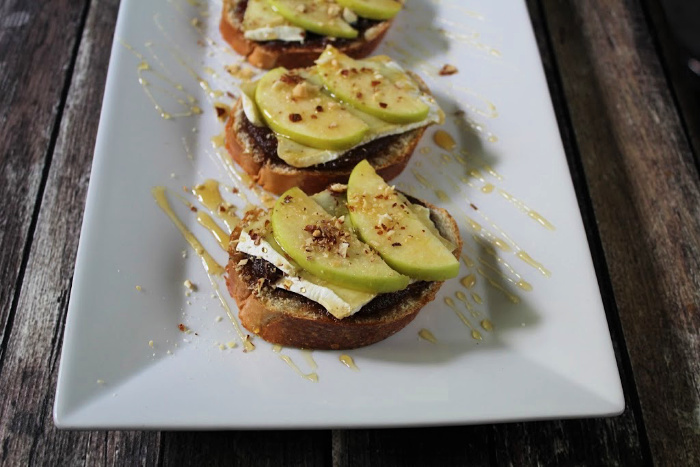 This brie apple and honey crostini appetizer looks so elegant but takes less than 15 minutes to prepare. 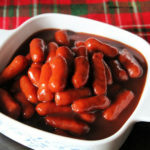 With the holidays here and many parties on your calendar, I figured I would share with you some of my all-time favorite appetizers. This is a brand new one to me that I discovered this year, but has quickly become a favorite for two reasons. 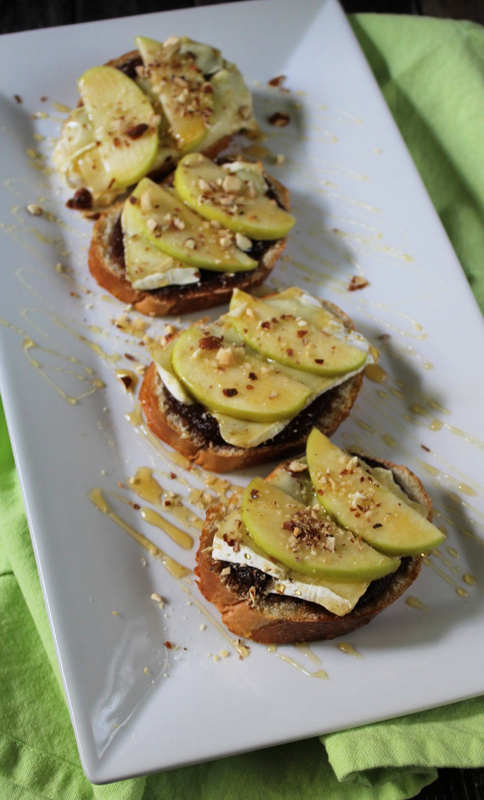 It takes less than 15 minutes to make this Brie Apple and Honey Crostini. And the second is because it is made with brie cheese — one of my favorite cheeses. 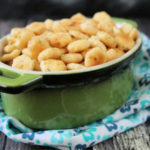 This appetizer is so easy to make and I can promise you that with your first bite, you will have a very hard time eating just one. 15-minute recipes are my jam. You can find more of my favorites by clicking here. If you have never had a bite of warm brie cheese, you are totally missing out. 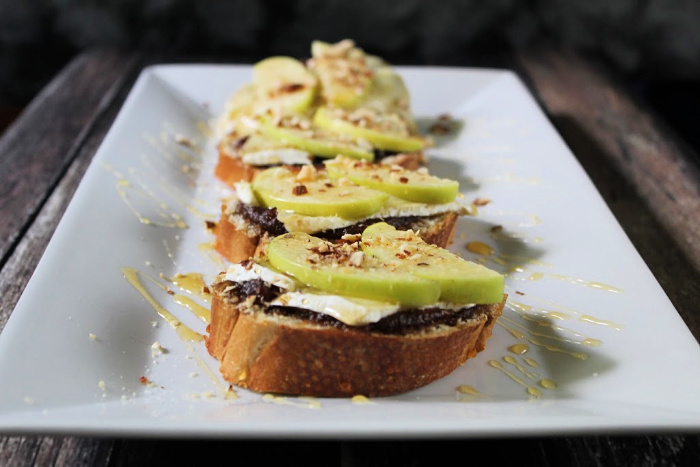 It is super creamy and when mixed with apples, apple butter, and toasted almonds on a crunchy piece of bread. I am telling you it is simply pure heaven. 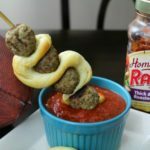 My daughter and I are huge fans of this appetizer and I plan on taking it to a few parties this year. The cool thing is that you can change this up in so many different ways. You can choose a different jelly or jam. I used what I had on hand — apple butter– but you can totally use something different like blackberry, fig, pumpkin, etc. We used Granny Smith apples, but I bet Gala or Honeycrisp would taste good too. I’ve also seen this made with different nuts, but we chose to crush almonds to use on top. Honestly – I will be making this all season long — and not just for sharing with friends and family. I will be making this just to have for myself at home! It’s THAT good! 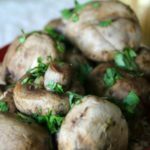 This easy appetizer only takes 15 minutes to make and will be a hit at any party you attend this year! Spread apple butter on one side of the baguette slices, about 1 tablespoon per slice. Place the baguette slices on a large baking sheet. While the brie is getting all warm and gooey in the oven, slice your apples very thin, about 1/4" thick and then slice each half into half. Remove the crostini from the oven and top with apple slices. 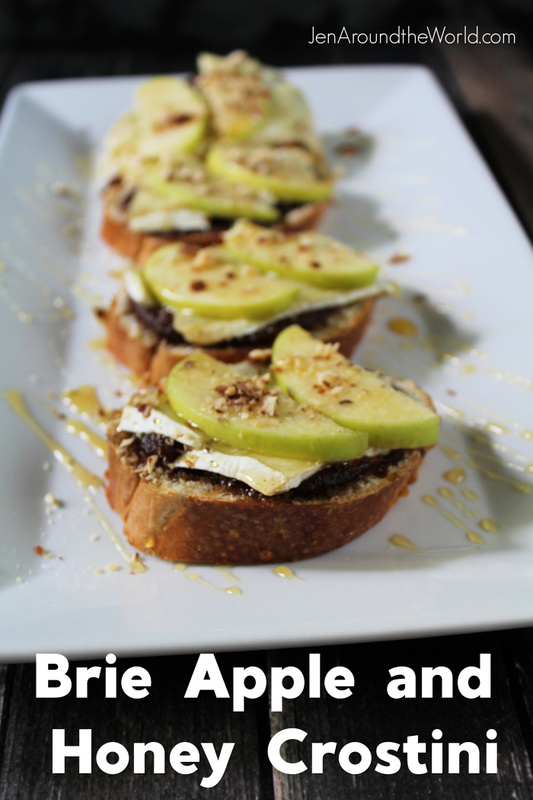 Sprinkle crushed almonds evenly over the crostini and then drizzle lightly with the honey. Serve immediately to your friends and family. This also tastes great at room temperature as well. 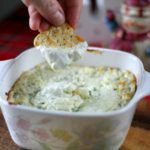 This appetizer is great because of how quickly it comes together, and if you are a smart shopper like me, you can always find Brie on sale at Aldi or Kroger. That sounds so good! I’m always on board for anything that involves brie. I have to make this! These look really delicious and I so could make them pretty easily. I am all about the crostini world of appetizers. I have had this at a restaurant. I think it is awesome that I can make it now! That looks amazing! I can’t wait to serve it at my open house! You had me at brie. I love cheese. I could eat this appetizer all night long. 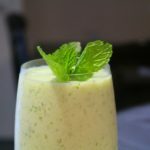 That looks really good and really easy to make! 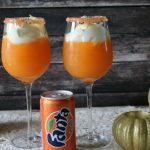 It looks really good and really easy to make! Oh my this sounds and looks amazing!! 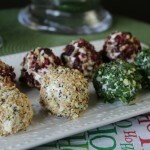 I so have to try this and what a fun appetizer idea!